LANSDALE (WPVI) -- A truck crash blocked part of the Northeast Extension (I-476) in Lansdale for part of Wednesday afternoon. The crash happened around 12:30 p.m. Wednesday in the southbound lanes of the highway. 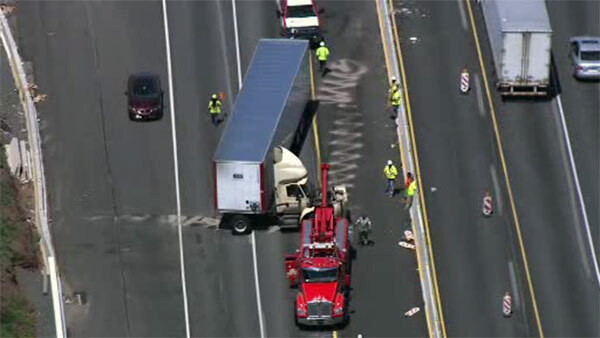 The view from Chopper 6 showed a jack-knifed tractor-trailer with front-end damage.